This stone is rarely treated. However, a heat treatment will brighten the darkest stones. Cracks can be filled with oil, wax or colourless resin whereas fractures will be filled with epoxy resin. 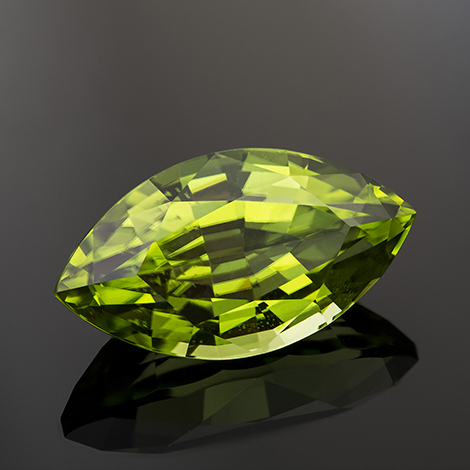 Because of his medium hardness, a peridot will easily scratches and grinds off. It is better to avoid even slight contact with cosmetics, perfumes, hairspray or acidic substances. Ultrasound and steam jets are not recommended either. Gem cutters know that this stone is not easy to work on. There are often lots of tensions inside the crystal.